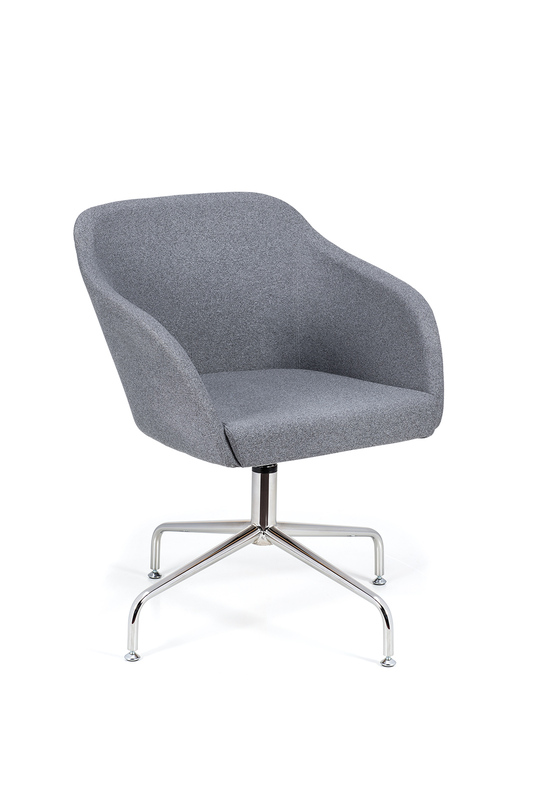 Armchair with softer lines, in leather with contrasting stitching or in fabric. Available with chrome-plated sled structure, or in swivel versions with four legs and castors or feet, or on a central column with conical base. experience in the office seating business, Diwar is a Company specialized in design and manufacturing of components for seating, which are developed with both the complete chair and the global market in mind.